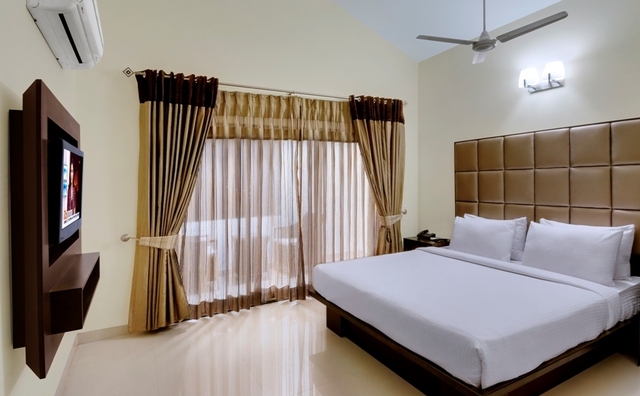 The Golden Suites & Spa is a plush 3-star property in Goa where the magnificent structure, elegant interiors, modern facilities and great hospitality create a wonderful atmosphere for guests to stay. 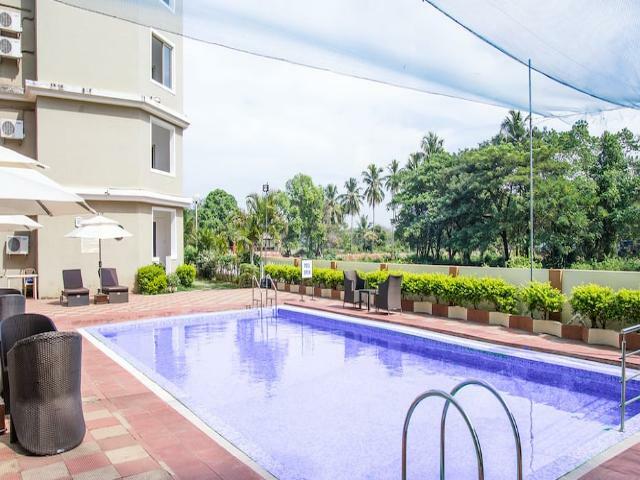 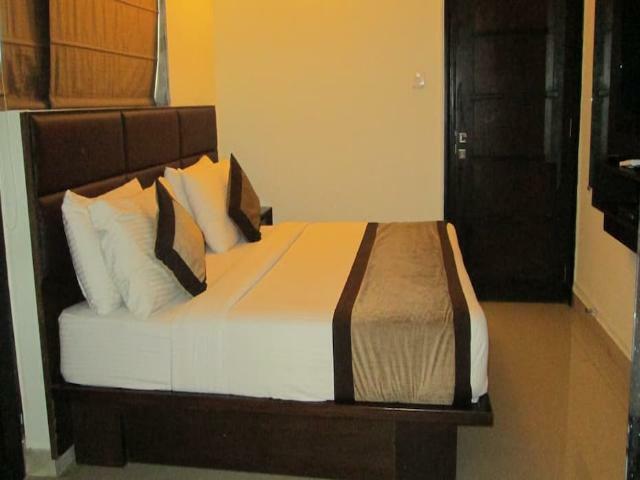 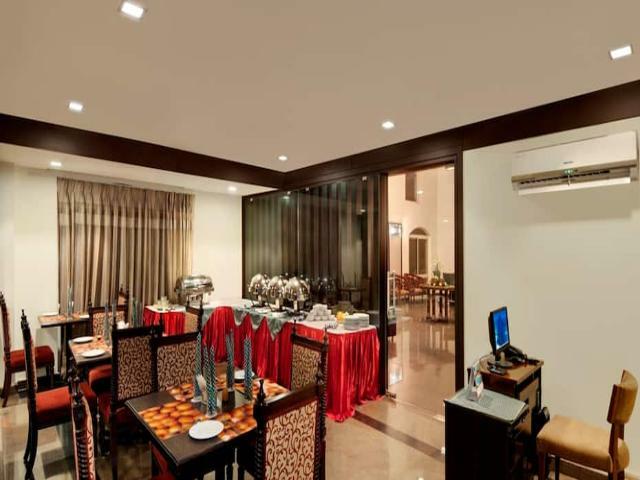 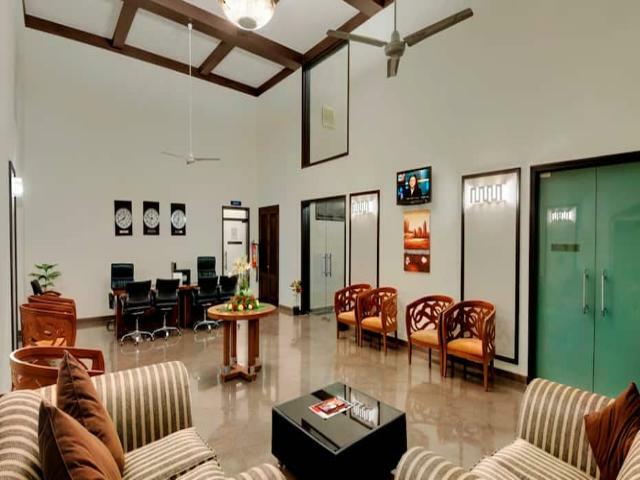 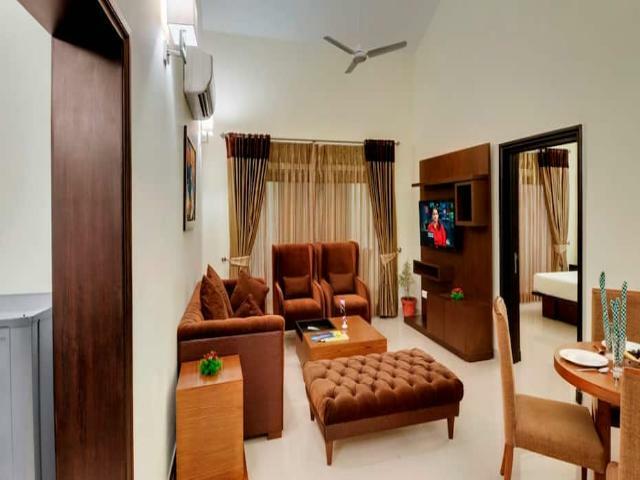 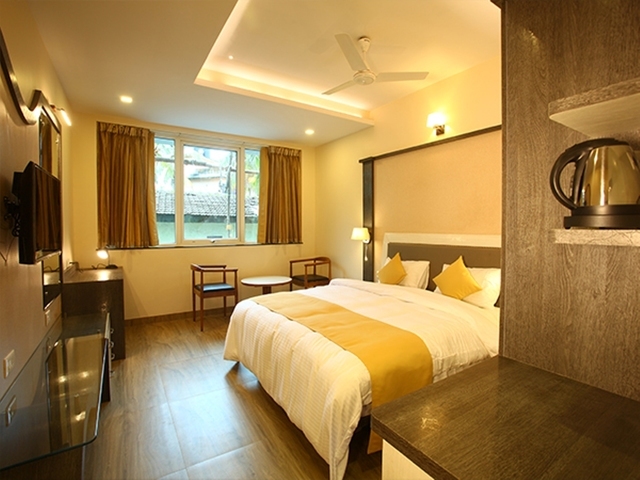 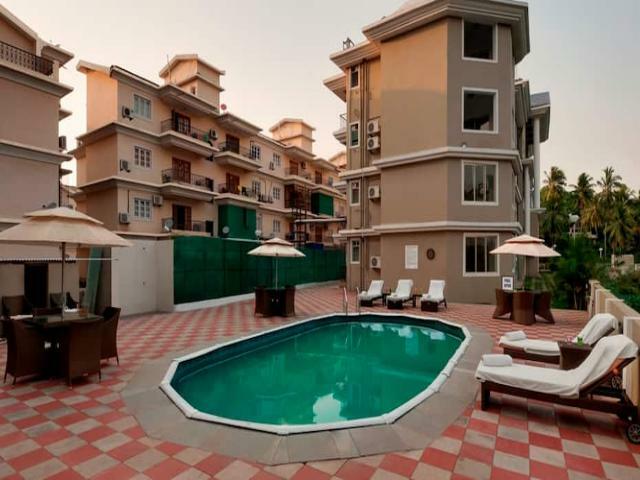 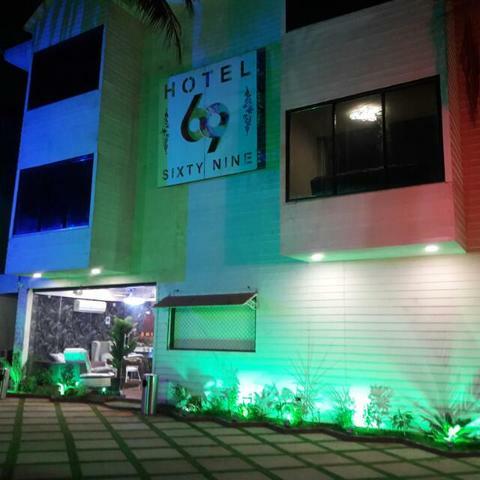 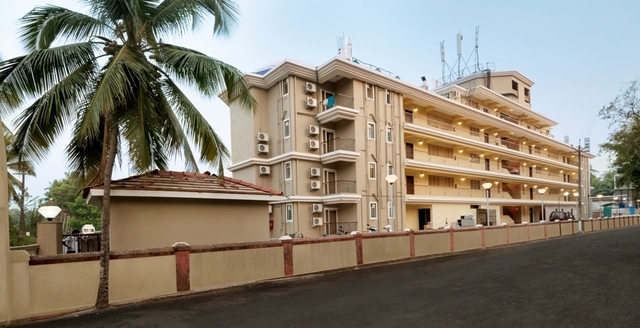 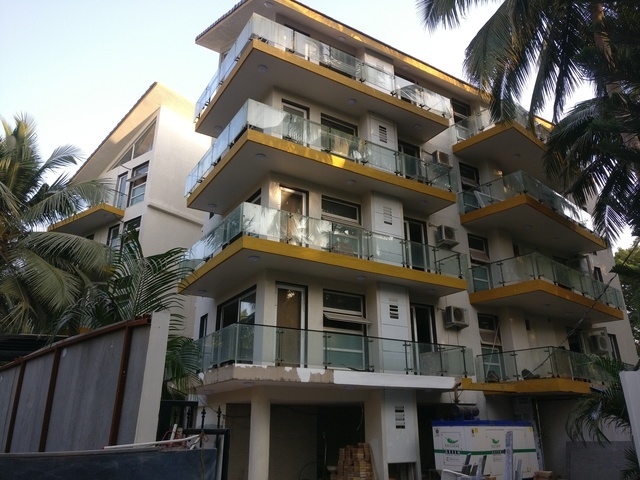 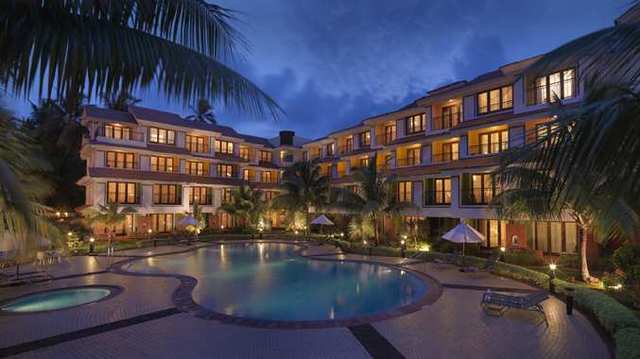 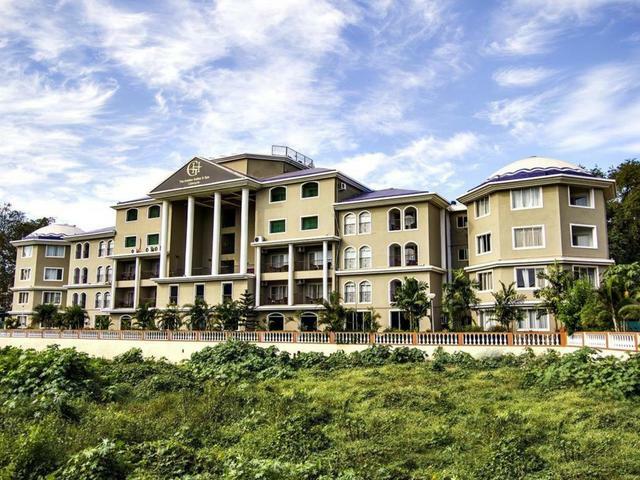 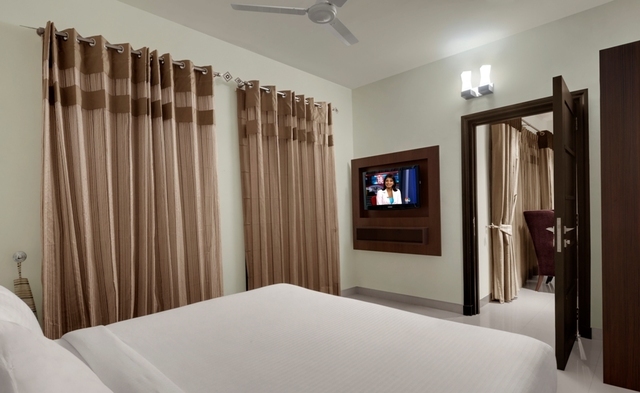 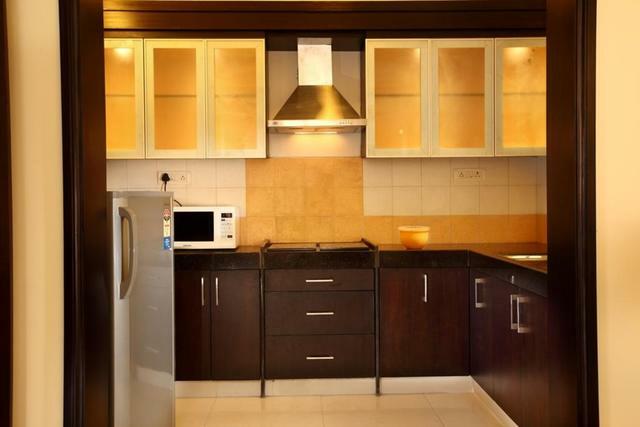 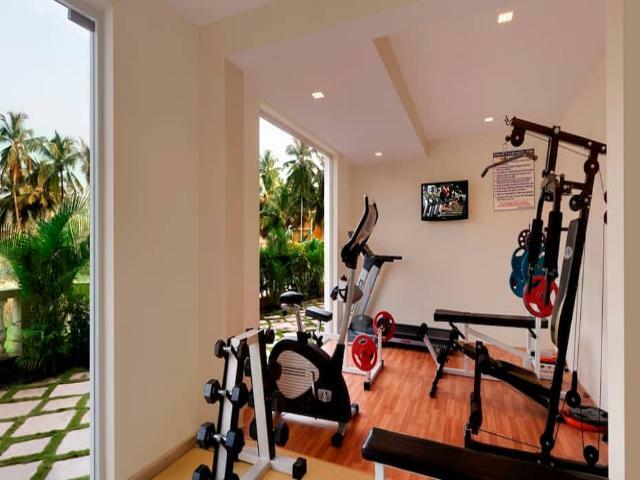 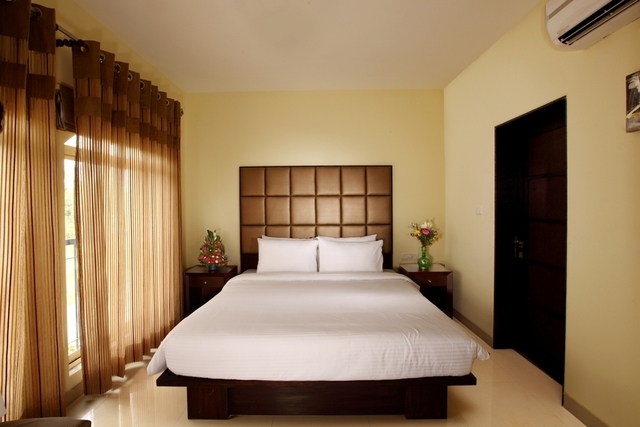 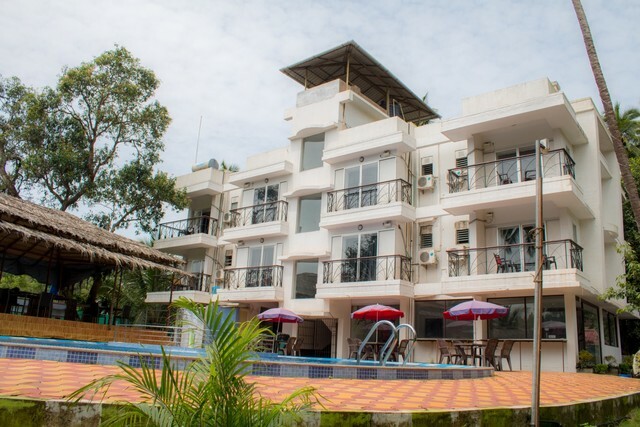 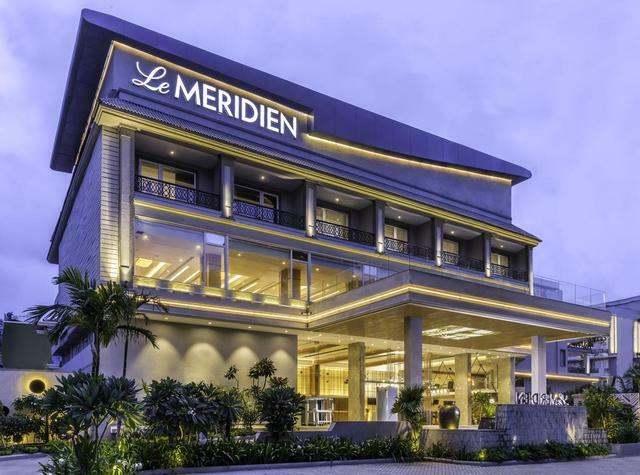 The luxury hotel in Goa located in the happening belt of North Goa is surrounded by lush greenery and houses deluxe rooms as well as one and two BHK suites. 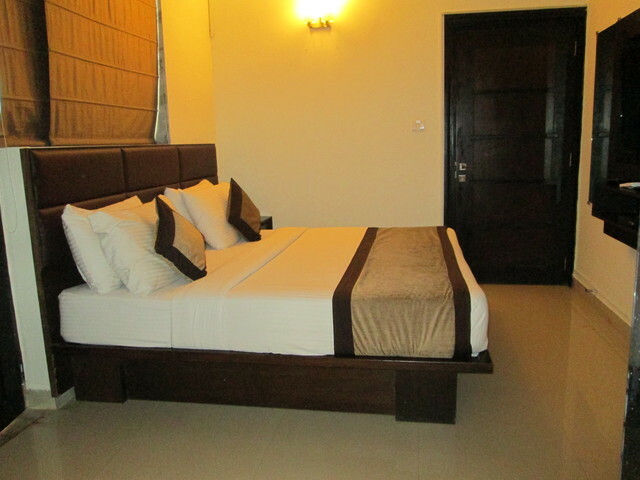 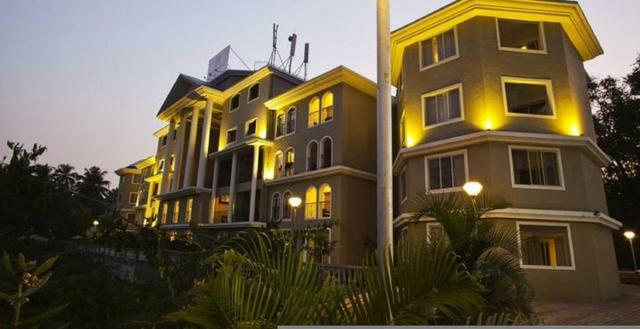 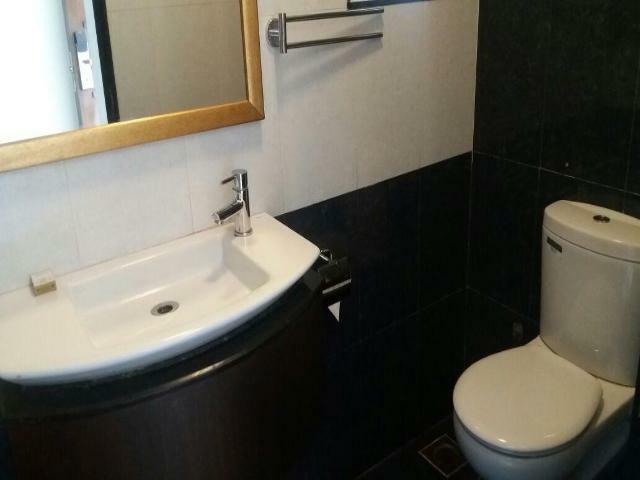 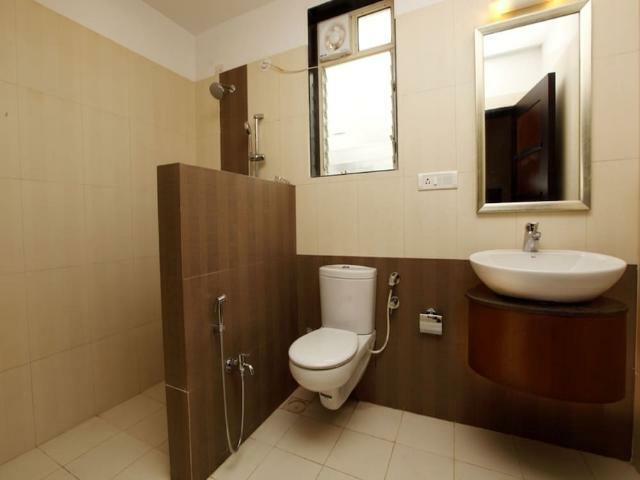 The deluxe rooms feature air conditioner, electronic safe, intercom service, LCD TV with cable connection, tea/coffee maker and an attached private bathroom stocked with toiletries. 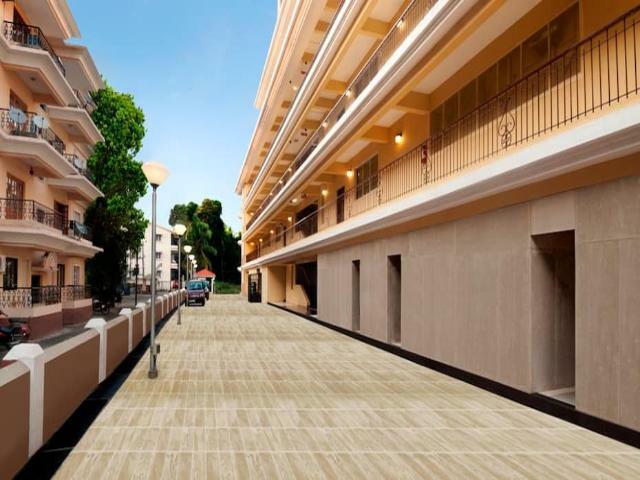 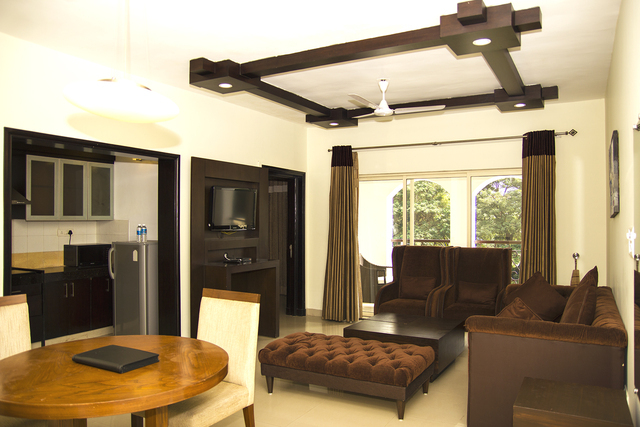 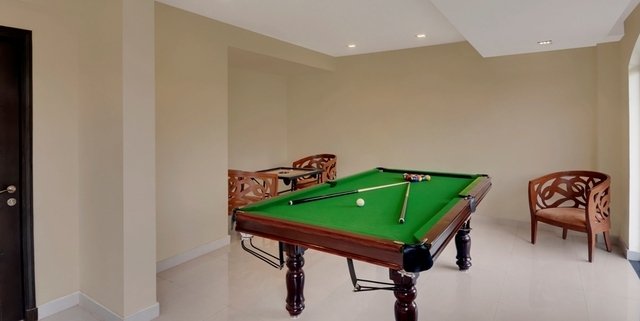 The one and two BHK suites come with additional facilities like a balcony with seating arrangements, a dining table, induction plates, microwave oven, a refrigerator, sofa seating and a workstation desk which makes it suitable for couples, families and college groups here for a longer stay. 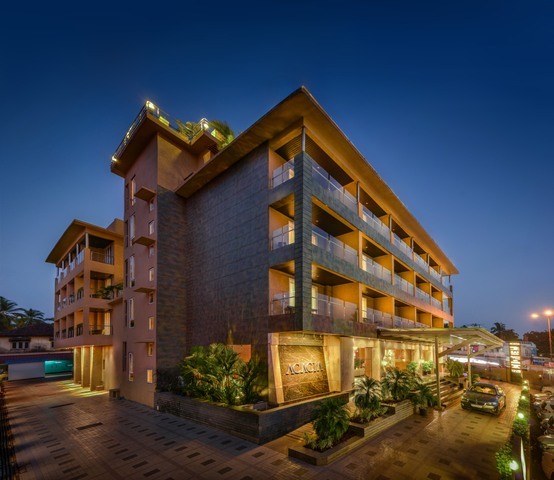 While staying at The Golden Suites & Spa, you can easily travel around the city and visit some of the most happening clubs, malls, restaurants, markets and beaches. 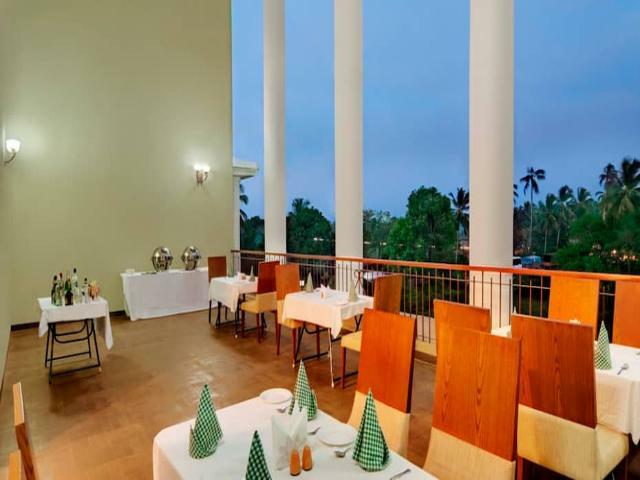 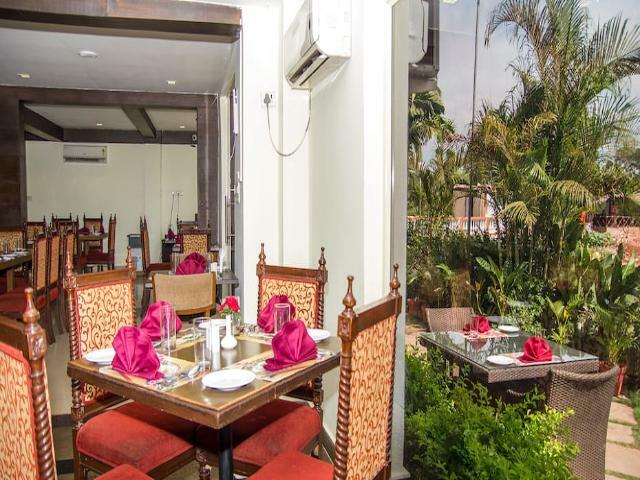 You can visit various restaurants in Goa such as the Oriental Thai-European Restaurant and Victors serving seafood, Amavi by Sumera offers international cuisines as well as Cafe Flori to try out some eclectic European palettes. 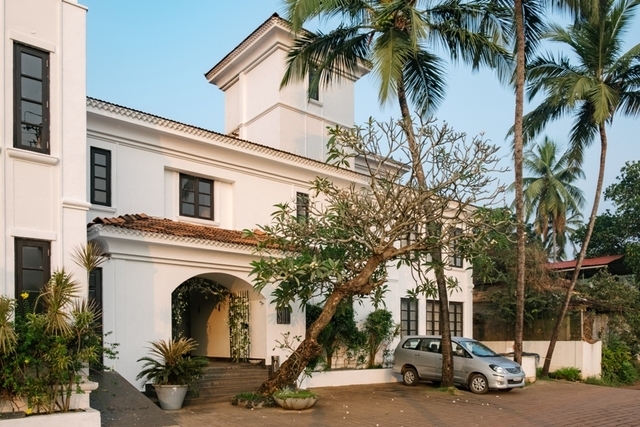 Calangute is an interesting place to visit some churches in Goa such as the St. Alex Church, Full Gospel Church of Calangute and St. Anthonys Chapel. 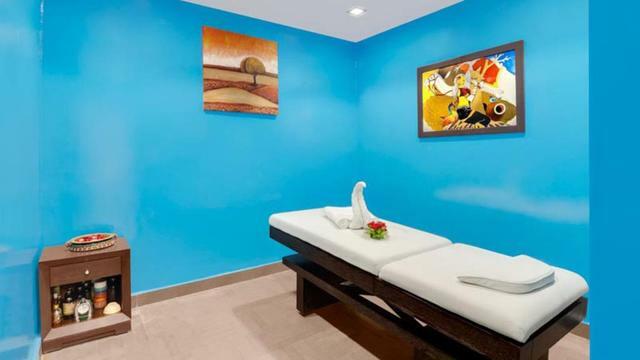 If you are on a holiday do check out the spas in Goa as the wellness centres offer some of the most rejuvenating massages and therapies. 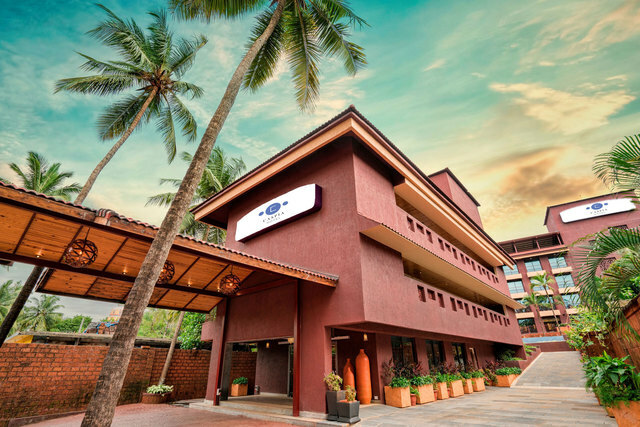 Things to do in Goa are plenty, do not forget to visit the Anjuna Flea Market on Wednesdays, Mapusa Bazaar on Fridays and Saturday Nights Markets for some amazing bargains while shopping in Goa. 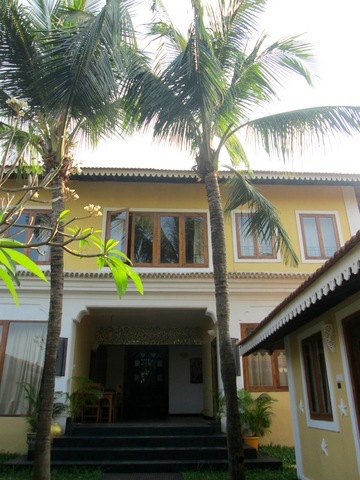 November to March is the best time to visit Goa, December being the peak season.